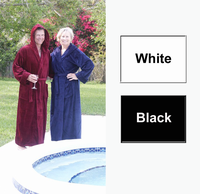 Mens Cotton Terry Shawl Collar Robe in 100% Cotton Terrycloth in a lighter weight 12 oz. per square yard in color white size Small in the Longer 53 inch length. Quality made in Turkey. See the Size Chart on the Green tab above for proper sizing information. 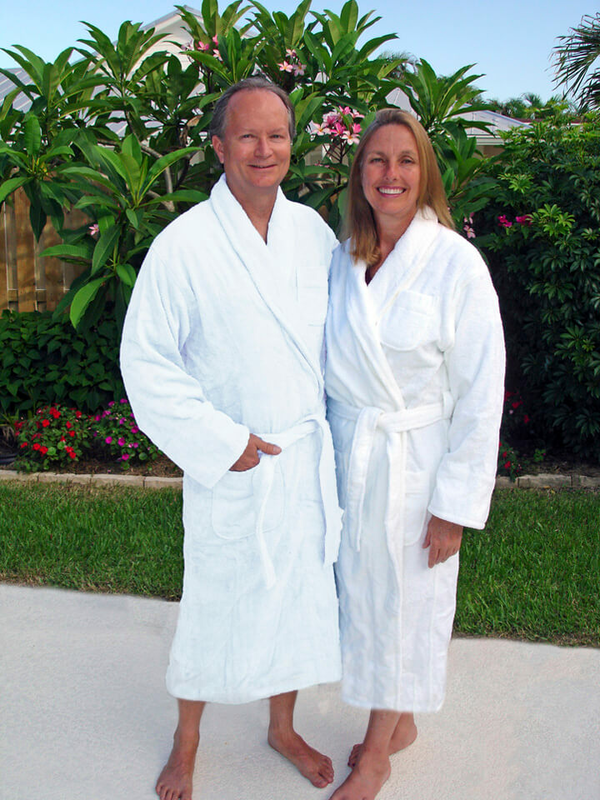 The average weight for this size Small robe is 4 lbs.